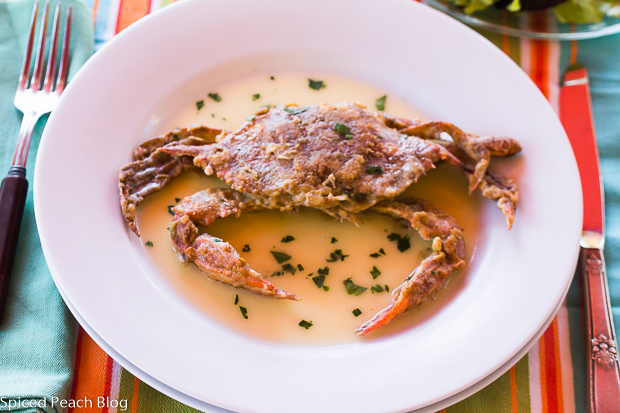 Today we have a very easy to prepare, fancy meal, Soft Shell Crabs, Lemon Butter Sauce. A sort of rich delicacy unto itself, you too might agree that there is something entirely elegant about Soft Shell Crab. The molted exoskeleton of the Soft Shell Crab makes it quite soft, with an ever so slight crunch, differing then from the flavor profile of those crabs whose shells have hardened to: Hard Shell Crab. 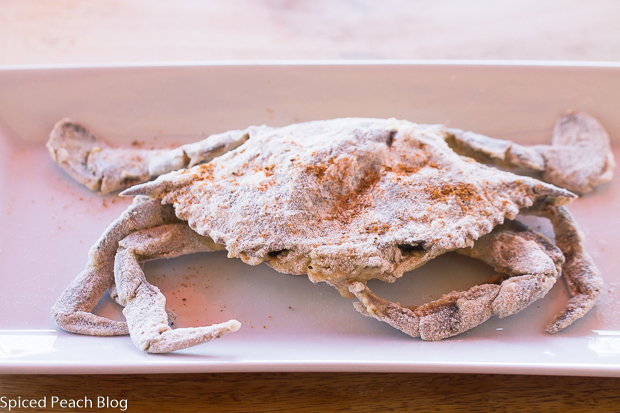 Hard Shell Crabs are typically cooked in large batches, and especially if you live in nearby driving distance to Maryland, served on long rolled sheets of paper tablecloths alongside wooden hammers for removing the inner sweet meats between heavily coated, crusted bits of Old Bay seasoning. One might eat many crabs over the course of hours. In the case of Soft Shell Crabs, one Soft Shell Crab per person is quite filling enough. Seasonally cherished by some diners at restaurants, mostly sautéed or deep fried, the Soft Shell Crab may be adorned with any number of garnishes and sauces. I’m in the camp when it comes to Soft Shell crabs that simple is best. Soft Shell Crabs are seasonal with limited availability, late spring through early summer, if you can find them, though quite possibly this might be a bit easier at its regional source. Cleaning Soft Shell Crabs for preparation is simple, but nowadays it seems they are most always sold ready cleaned, and at any fish market the monger will always clean them for you right on site, leaving you to merely dip and sauté to get the essential job done. Enjoy your fancy meal in its limited season, quick and easy to prepare, and oh so elegant, Soft Shell Crabs, Lemon Butter Sauce. 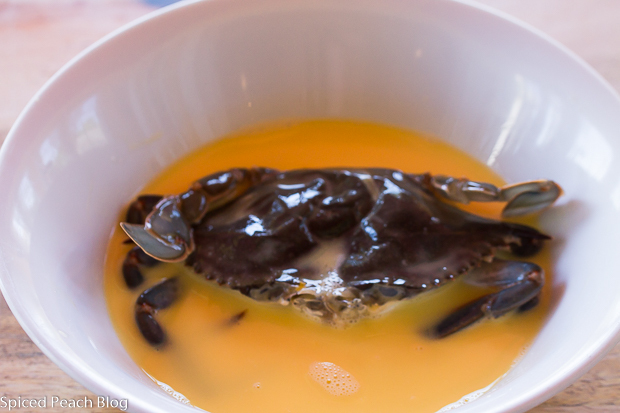 In a bowl large enough to hold the crabs one at a time, whisk together the beaten eggs with the water. In another bowl, mix together the Wondra flour, Old Bay, and salt. One at a time, dip crab into egg mixture turning over and coating well before dredging with the flour mixture. Shake off any excess flour mixture from crabs then transfer to a baking dish, refrigerate for a half hour to set. Heat a large saute pan on medium heat, add in the butter swirling to cover the bottom of the pan. Set the soft shell crabs into the pan top side down, cook for 3-4 minutes, turn crabs over and cook another 3 minutes. Place pan into oven and finish in the oven for another few minutes. Boil shallots, lemon juice and white wine together until reduced to half. Take pan off heat and whisk in a few bits of butter to emulsify the liquid a bit. Return pan to burner on the lowest heat, whisk in remaining butter a few bits at a time to create a smooth sauce. Sprinkle in the salt, whisk, check seasoning, adjust to taste. Strain sauce then pour evenly between individual plates topping with the cooked Soft Shell Crabs. Sprinkle with chopped parsley and serve straight away. This entry was posted in Fish and tagged Soft Shell Crabs, soft Shell Crabs Lemon Butter Sauce, Soft Shell Crabs Lemon Butter Sauce Recipe. Bookmark the permalink. Post a comment or leave a trackback: Trackback URL. While the flavor may be spectacular, it looks too much like a spider for my liking. 🙂 The dish is pretty though. Enjoy the soft shell season. My crab loving friends live for this! Hi Kelly, I’m cracking up laughing! Yes indeed, lots of folks enjoy this delicacy in the brief season each year. See you soon. Peggy, You (well, honestly, not you but your soft-shelled friend) have been on my mind since I first saw this on Facebook. I love soft-shell crabs. Their appearance does not put me off at all although I certainly can understand why others don’t like their looks. 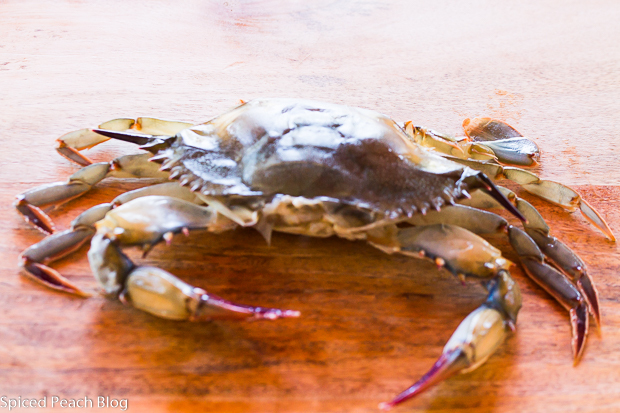 Of course, growing up in Iowa, we didn’t know soft shell crabs. But Michael and I both loved them and had a favorite place to have them in San Francisco where we would always eat when we visited there. Of course restaurants feature them at the appropriate time here in Aspen but, as you can imagine, it’s a pricey meal. So, not ever thinking I could do this myself, I am thrilled with your post. I am headed to the Butcher Block this afternoon because I plan to try this tomorrow. Will let you know. Hi Mary, Thanks so very much. I love soft shell crabs too, I suppose since I once had to prep them at a restaurant for a season I never really gave thought on their look really except they look stunning on a plate, although this is debatable to some. By now I hope you were able to purchase and enjoy the dish! Though pricey, even at a purveyor source, their availability along with retrieving them at the precise time does require special technique so this in mind it seems worth the treat when in season. See you soon! WOW!! Your soft shell crabs really made me hungry. Thanks Captain Bob! They were delicious! 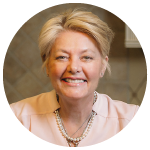 Dear Peggy, you are one lucky person…we do not even get close to being able to enjoying soft shell crabs around here but I know that they taste amazing because I had the pleasure of eating them in lovely Québec – a true feast for the palate and the eyes. Hi Andrea, oh goodness I suppose this might be more than difficult in your locale! Happy you got to try them in Quebec though, they are indeed a true feast for the palate and the eyes! Thanks so much Andrea, see you soon! No mention of when you add the shallots. Thank you Debra, you boil them with the lemon juice and white wine, recipe adjusted.